The Detroit Taco Company just opened its second location in Troy (2199 Crooks Rd.) 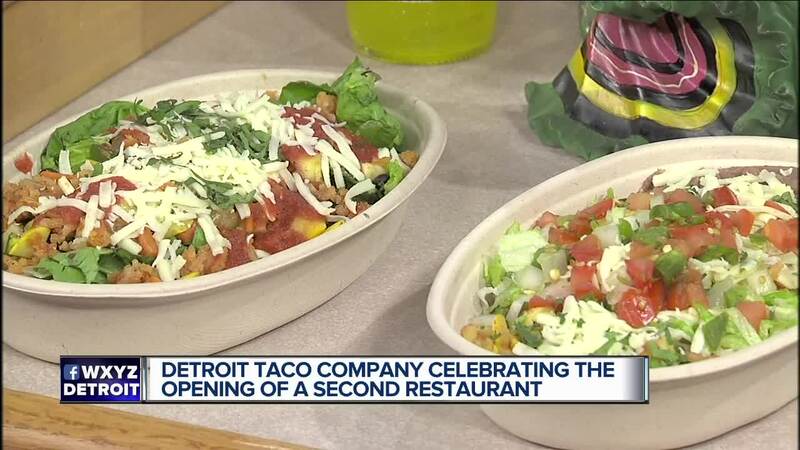 on November 1st and 2nd, on the third anniversary of the original Detroit Taco Company (304 N. Main St., Royal Oak, 48067). Menu highlights at Detroit Taco Company (DTC) include tacos, burritos, bowls, salads and nachos with a wide variety of fillings (grilled chicken, marinated Mexican chicken, steak, crispy shrimp, chipotle BBQ pork, vegetarian bean & rice and more) offered with soft flour or corn tortillas; house-made salsas and guacamole, and a kids menu. Weekly specials include ‘Taco Tuesday’, ‘Fiesta Thursday’, and ‘Sunday Funday Family Pack’, when 10 carry-out tacos can be purchased for just $10.